Last Sunday was the feast of the Epiphany. In the Western Church, the focus of that feast day is the manifestation of the Christ child to the Gentile Magi. But in the Eastern Church, the focus is the Baptism of Jesus. So in a sense, this Sunday is a kind of liturgical tribute to the tradition of the Eastern Church. And since the focus of the day is baptism, the Episcopal Church commends this day for baptisms or, if there are no baptisms, for the renewal of baptismal vows. And so that is exactly what we will do right after this sermon. Jesus’ baptism is a bit of an anomaly. It doesn’t make sense on the face of it. John the Baptist is baptizing the people who come to him to cleanse them from sin. Yet, Christian scripture affirms that Jesus was without sin. So why did he need to be baptized? Moreover, John was, by his own admission, unworthy to perform the baptism—he wasn’t even worthy enough to touch Jesus’ shoes! 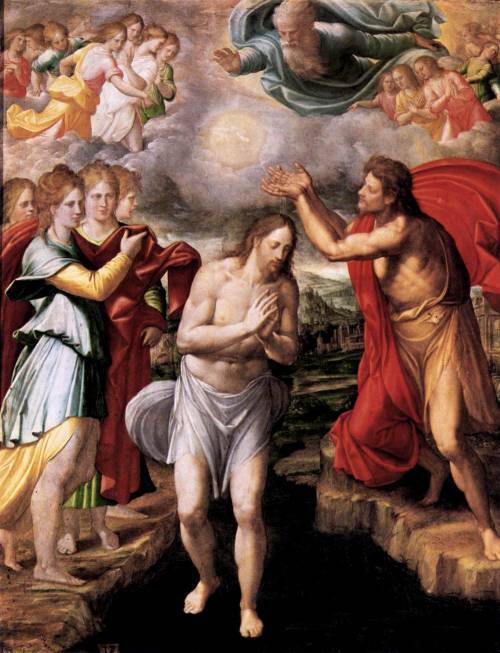 I can think of only one reason for Jesus’ requesting baptism—as an act of solidarity. It was an act of solidarity with his cousin John, endorsing the validity of John’s ministry. But more importantly, it was an act of solidarity with the sinners standing in line by the banks of the River Jordan, and more generally, with all of sinful humanity as it moves step by step towards God’s all-forgiving love. Jesus, the Incarnate Word, submitted to baptism for the same reason that the Word became flesh and dwelt among us, as an act of salvific solidarity. And similarly, when we submit to baptism or are brought to baptism by our parents and godparents, it is a sign that we, in turn, wish to be in solidarity with God in Christ and to be members of his Body in the world.